Started by having a look round Coton lakes. 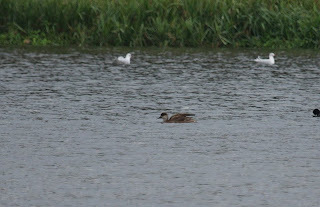 There were 3 Ruddy duck among the regular Wildfowl but apart from a few Redwing nothing else was noted. 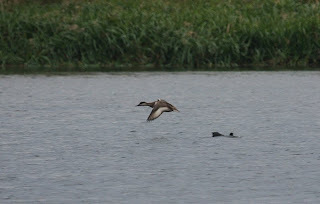 At Kingsbury Water Park it was a similar story with a single female Goldeneye the only new bird on show. The walk along the canal to Fishers Mill was strangely quiet no walkers, no cyclists, no birders and no canal boats. It seemed strange for a half term day. At Fishers mill I met Geoff Williams there was a small flock of Golden plover, a Common Sandpiper and a Dunlin at the north end of Middleton Lakes but I didnt venture due to not being shod for heavy mud. 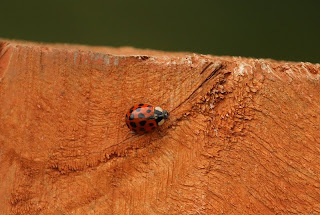 I became intrigued by the Ladybirds particularly around the Ash tree next to the entrance to Fishers Mill as they seemed to be increasing in numbers as I watched. 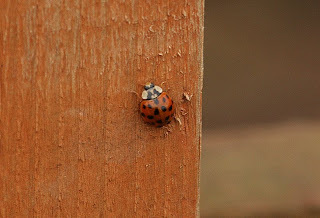 The new fencing at the entrance also attracted the insects and I attempted to take a few shots. 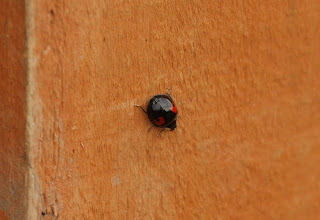 They seemed large and came in a variety of colours and patterns quite different from the Ladybirds you usually see. 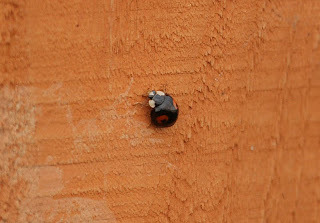 The Harlequin Ladybird invasion had reached North Warwickshire. 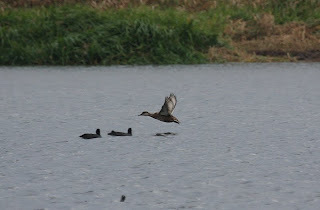 Archie Archer turned up, he confirmed that there was a female Red crested Pochard on Mill pool, Alvecote. 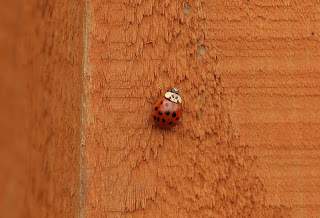 Probably the same bird that Geoff had seen on Dosthill Nature reserve the previous day.